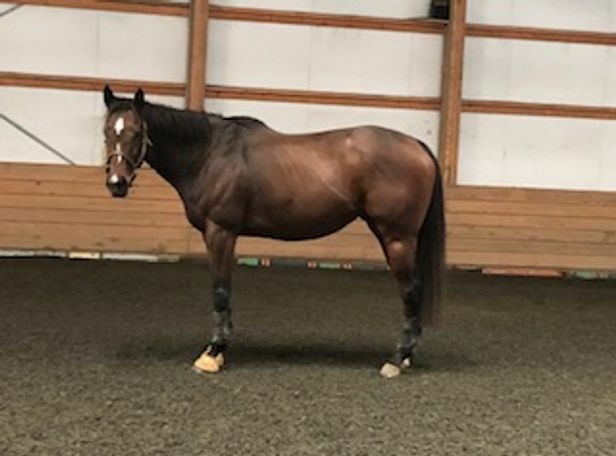 6yr old, 16hh, unraced TB. Very laid back, hacks, travels well, very brave. 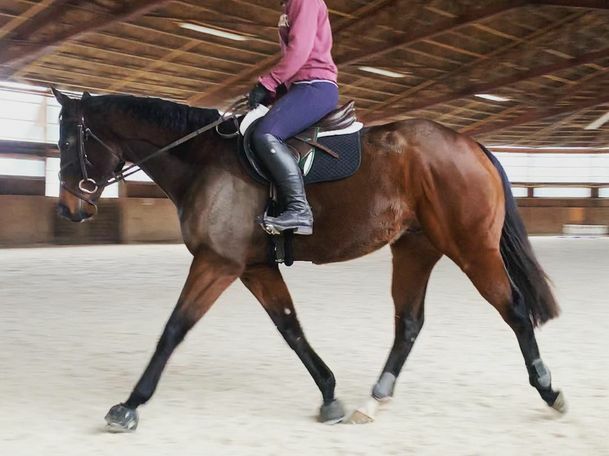 16hh, 2013, bay, unraced thoroughbred gelding. Jester was bred and trained in NY, leaving the track as a 3yr old. No tattoo and no papers but he is eligible for the TIP program. Jester had some minimal retraining after coming off the track and mostly enjoyed being a horse till April 2017 when I purchased him. Jester is extremely laid back, the same horse on and off the property. He is still green but is going W/T/C, starting lateral work, and was jumping some small courses this fall, including a liverpool. He has free jumped up to 3’9”, as well as boldly going over ditches, through water, and up and down banks. He hacks alone or in a group and has shown no anxiety about being left behind or leaving the group. Jester has a super attitude. He is a willing learner and has more whoa then go while still having a good engine when shown how. 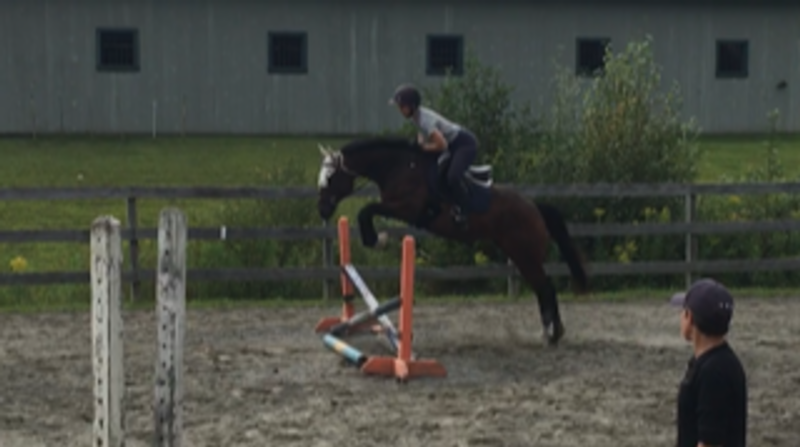 He took to jumping right away and is very brave to the jumps with fantastic rhythm. He shows great potential for any discipline and is uncomplicated enough for an amateur to bring along but could also be a blast for a professional as well. Priced at 5500 for quick sale due to personal health reasons.